Our Little Acre: Community Garden Projects : Coming to a Blog Near You! Community Garden Projects : Coming to a Blog Near You! Community gardens are a popular and good thing. For those that live in apartments or have no place to put a garden of their own, community plots of earth are a great way to exercise gardening muscles and grow your own food and flowers. Gardeners also have local organizations they belong to, such as garden clubs and Master Gardener groups. But there's yet another larger community of gardeners - those who connect via Twitter, Facebook, and garden blogs. The internet has made it wondrously possible for us to communicate with gardeners all over the world, thus opening up our world to greater learning and relationships with those that share our passion for growing. As the 2011 growing season gets underway, many have created opportunities for gardeners to connect on an even more intimate way, by joining together in community gardens of another sort. 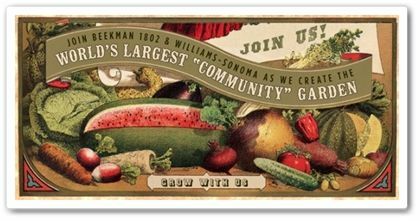 The World's Largest "Community" Garden - The Beekman Boys at Beekman 1802 and Williams-Sonoma are pairing up with gardeners the world over in growing the same 10 heirloom vegetables. You can sign up for customized e-mails that will help you every step of the way and you can share your progress on their site. 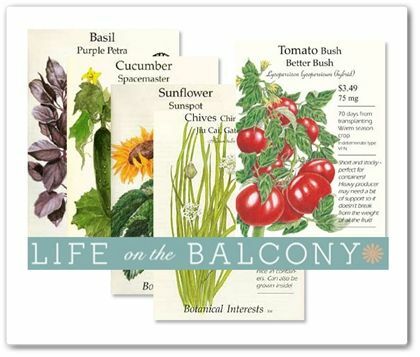 You can order the seeds at Williams-Sonoma online or you can purchase them in their stores. For more information, visit those Beekman Boys. To make it easier, she has partnered with Jayme Jenkins of aHaModernLiving.com, where you can buy all five Botanical Interests seed packets for $10.95. And you'll get 10% off your purchase (of anything at aHa! Modern Living!) using the code LOTBseeds. "Sunflowers sprouting tall across our Earth will remind us to trust in nature as our most important resource, and let others know that we, the people on the planet, want clean air, water and food, as well as peace in our homes, schools, and between nations. The Sunflower Project vision is to see all people in every corner of the globe who are concerned about nuclear war, pollution, violence, injustice, and/or threats to the balance of nature, to plant at least one sunflower seed in a sunny place where it will be noticed." 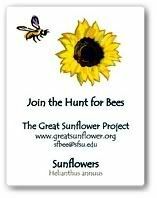 For more information on participating, visit their website at www.sunflowerproject.com. The Great Sunflower Project is yet another involving the planting of sunflowers, but specifically the 'Lemon Queen' variety. They have chosen this particular sunflower because of its universal attraction to bees. Once the sunflowers are in bloom, participants count the number of bees seen pollinating a single plant for 15 minutes, twice a month. Data is then entered on the website, where it will be used to determine where pollinators may need help. Renee's Garden Seeds have joined in on the project by selling 'Lemon Queen' sunflower seeds and if you use the code FR225A on your order, Renee's will donate a portion of the sales to the project. If you know of another such project that any gardener can participate in, please let me know and I'll edit this post to include it. Let's grow together in 2011! Love this post! Love the container gardens collaborative project. I will be launching a container garden photo contest shortly with some cool Lechuza planters as prizes. Stay tuned! Really wish MrBrownThumb would get Project Grow together again. I know Renee's is game. Urban Gardens ~ Hi Robin! Sounds like a winner! Er...I want to be a winner! But doesn't everyone? LOL. I'll keep my eyes open for it, but let me know, too. Xan ~ I wish Project GROW was a go for this year, too! That was really fun last year and I would totally participate. I'm going to do all of these projects listed here this year! I really love the idea of everyone doing it in their own area and coming together to compare notes! 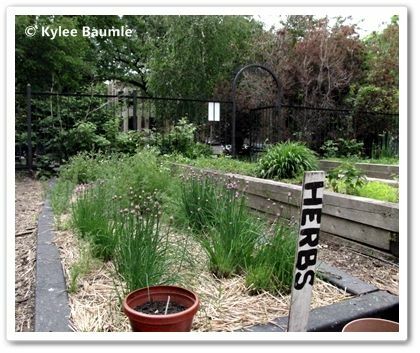 Kylee--Thanks for spreading the word about the community container garden project! I am super stoked that you're going to join us!!! Fern ~ I think it's REALLY cool that you've got your own product like this for your project! I'm excited about doing this!